I’d love to hear your juice fast story. How did you find the experience? Was it easy or difficult? Did you learn something about yourself? Word of mouth is so powerful, it’s how we learn and support each other. Help me, help others through the power of your story! You can overcome your fear, rejuvenate your body and rid it of toxins with the tools and strategies offered in this guide to juice fasting. 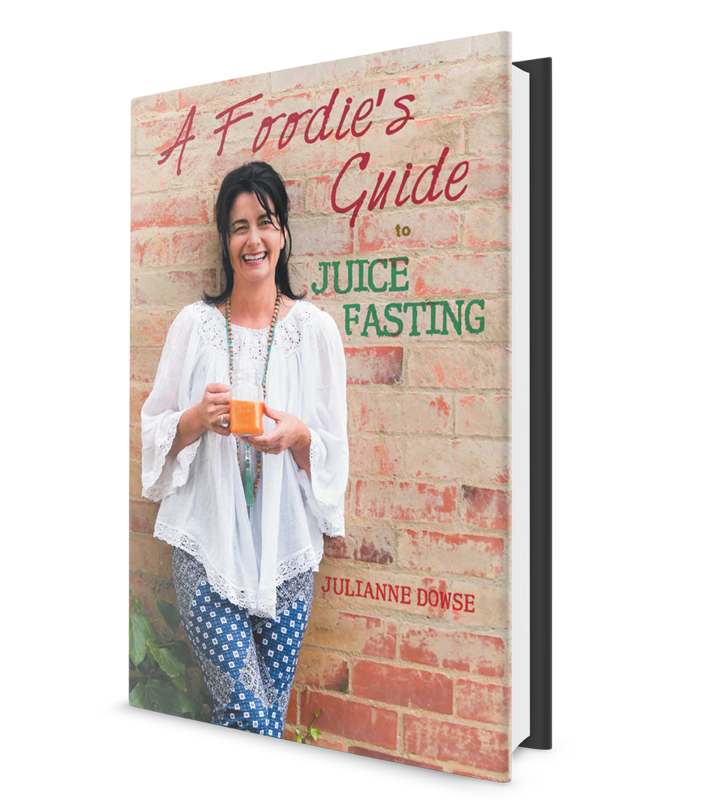 It is an easy read and it will inspire you to give juice fasting a go! Join us over 5 days as we take you on a journey of our Healthy Eating & Lifestyle program whilst living on nothing but freshly made, locally sourced cold pressed juices. Located at GYMEA Health Retreat in the northern rivers region of New South Wales. Everyone comes to fasting from different angles. I came to it to prove to myself that I could go without food for 7 days. As an extra bonus, I got clarity, lost weight, had more energy and broke through the ’emotional eating’ barrier. However, your ‘why’ may be quite different. What Juicer do I need to fast? If you are juicing for health and want to nourish, nurture and support your body to heal then you need to make sure your juicer will produce quality, nutrient-rich juice! Find out what juicers you need to consider if you want the best juice fast experience. As a foodie, I must have good tasting juices. Not only should juices taste good, they must be smooth tasting and vibrant in colour. I don’t want frothy brown juice (seriously, what’s with that!). Here’s some recipes to try that will hopefully quench your own foodies thirst. Congratulations on deciding to do a juice fast and having a self-care tool for life! I really want you to have the best experience, so before you jump in – check out some tried and tested tips to help make your ‘not so good days’ – good, and your ‘good days’ even better! Also known as a ‘juice cleanse’ or a ‘detox’, fasting has been around since the beginning of time. Always known for its ability to strengthen and heal it is now much more commonplace and what’s more, the evidence-backed information and testimonials supporting its benefits are available in great number. Isn't fruit juice just sugar? No, fructose (or fruit sugar) is very different to the white powdered substance most people know as sugar. Fruit sugars are slow release and every cell in your body loves them, in fact, craves them. They fuel us, heal us and balance our blood sugars. Most people think they will feel hungry when they do a juice fast, but hunger is often mistaken for being thirsty and so when you nourish your body with dense nutrients, it is satisfied. But, if you do feel hungry, just have more juice. Simple really! Will I have detox symptoms? Everyone is different. Some people sail through a juice fast without any real ‘detox’ signs at all. And yet, some people have a really tough time, with headaches and feeling nauseous and tired. Also, one time you can sail through and then the next time you have a full-on detox. One can never tell what’s going to happen. But, we do have tips and tricks to help you manage the days when you are not at your best, so, remember to check them out.. I have a 'smoothie-maker' machine, can I do a fast? This book is based on doing a 7 day juice fast where you give your body nothing but juice for 7 days. Juicing is where the insoluble fibre has been removed (thrown out), versus blending all of the produce together to make a drink (smoothie). Juicing gives your digestive system a break, smoothies don’t – your digestive system still has to work to break the blended fruits and vegetables down. What about the fibre. isn't that important? Yes, fibre is an important part of our diet. It acts like a broom for the intestinal wall and helps us with elimination. However, many people find that they still have plenty of bowel movements through a juice fast due to the soluble fibre (in the juice) and so there is no real health concerns for not having insoluble fibre for a short period of time. As a natural foodie, going without food is not something I ever do willingly, easily or graciously! But, here I am – the author of a book that helps people live on nothing but juice for 7 days. I got tired of watching people I loved suffer physically, mentally and emotionally ‘fighting’ a battle they were never set up to win. And so, I got educated. Really, really educated. But not educated in the school sense – educated in the life sense. In ancient times, I would have been called a scholar – but, I am merely a seed planter. May my story inspire, educate and bring awareness to your journey. Need a Juicer for your fast? 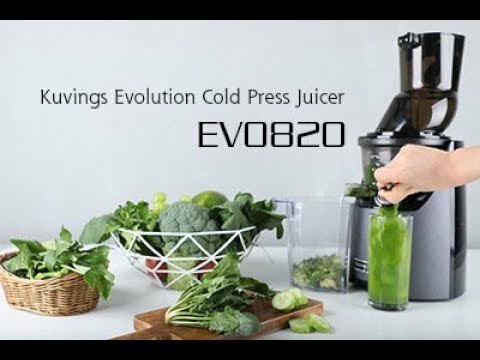 I use and recommend Kuvings Cold Press Juicers. Use promo code “foodies” for 5% discount store wide. 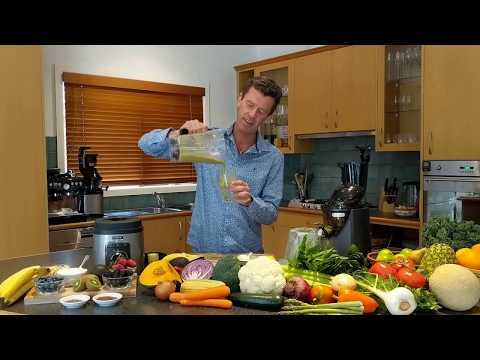 Learn about raw enzymes, phytonutrients and why there are so many health benefits to juicing raw whole fruits and vegetables. Need some help doing a Juice Fast? Send me a message!